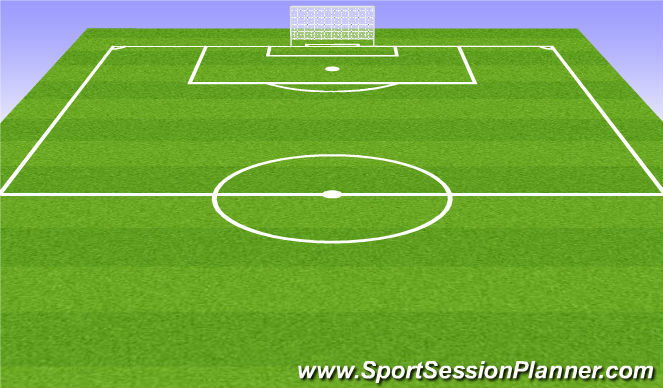 Football Problem: We are unable to keep the ball in midfield while playing out from the back. Why - 3,4 Not identifing when to dribble the ball past 1st Defender into midfield to create overload. 1st pass must be across the grid to the team mate also on the outside who dribbles the ball into the grid. 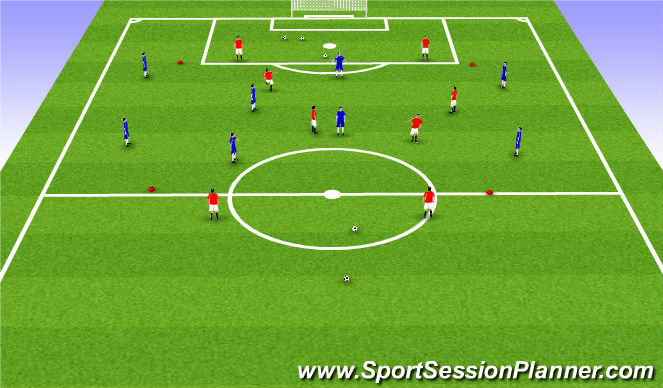 players anr than to pass the ball from end to end through the grid ensuring all players on the inside get a touch prior to playing the ball to the outside. Markers are placed inside the grid to make 6 x smaller squares.Only 1 player from each team is allowed in a square at anyone time. Running speed to increase over time. Red team start play and attempt to pass the ball through the grid to the opposite end. 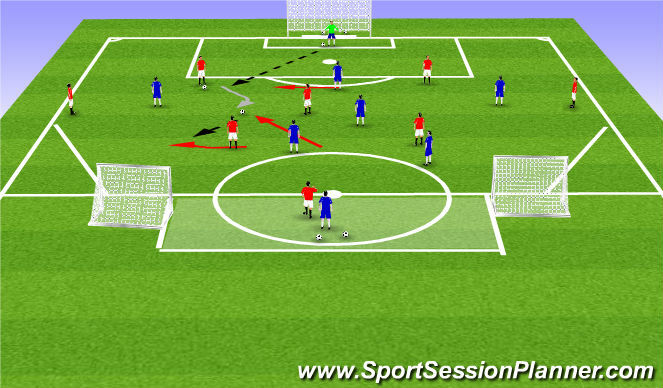 The player who recieves the pass on the out side must play his team mate also on the outside and follow his pass. can we open passing lane to play the highest player inside the grid. Before you recieve the ball scan for space and defensive pressure. When in possession pass to a team mate in a better attacking position than you. if unable pass to someone who can. Ball starts with GK.If Blue score then they re-start play on the 1/2 way line. Red team are to score in small goals. Blue team score in large goals within 15 seconds of securing possession. Team Task: To get either 3 or 4 into the middle third to create overload in midfield. 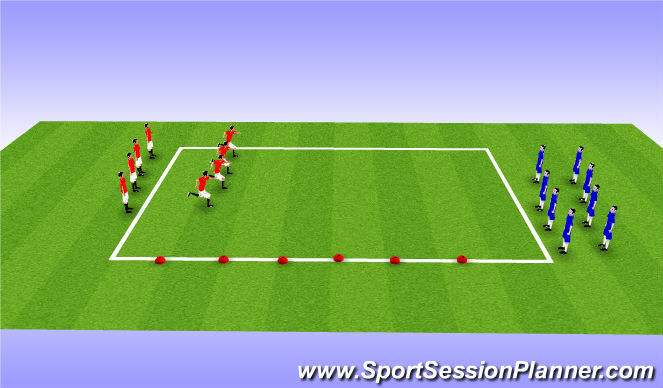 3 & 4 - Split across the top of the penalty area to create time and space. Look to pass to 6,8,9,10.once in middle 3rd or continue if able to drive forward. 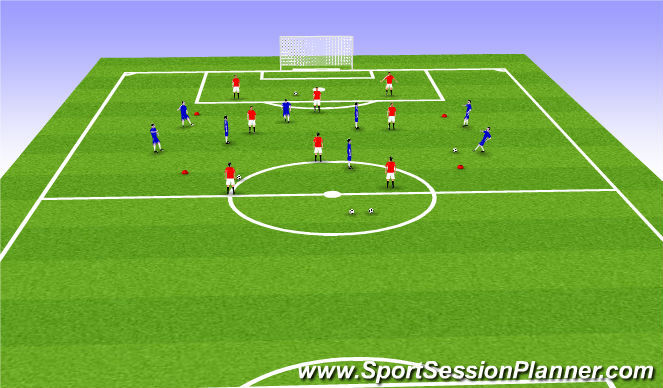 GK - Once ball is played to 3 or 4 be in a position to Support them. Be in a position to recieve the ball from 3 or 4 if passing lanes to 6,8,10 are closed. 6,8,10 - Start up the pitch as high as possible to allow 3,4 to use the space. 6 to start central while 8,10 to start either side of 6 and inside 7 & 11. All - Offer ball carrier passing options left, right, center, far. GK - If 3 or 4 are unable to take 1st touch beyond 9, be in a position to support from behind and pass to someone who can. 2 & 5 - When we have possession be as wide and high up the pitch as possible while being in a position to recieve the ball. When 3,4 have the ball, position yourself where the defender can not see you and the ball at the same time and where you can take your 1st touch forward. Players are to score in goals by using combination play. If you score your keeper / Player starts play.